Navigating the Canadian Health system can be overwhelming and frustrating. 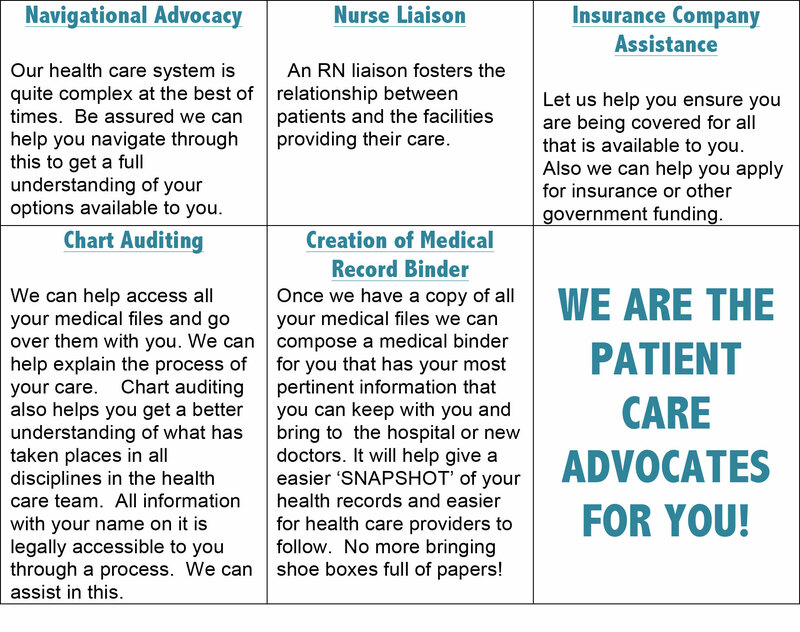 Our advocates are experienced Registered Nurses who will provide a supportive, stress-free environment while helping to ensure your voice is heard. 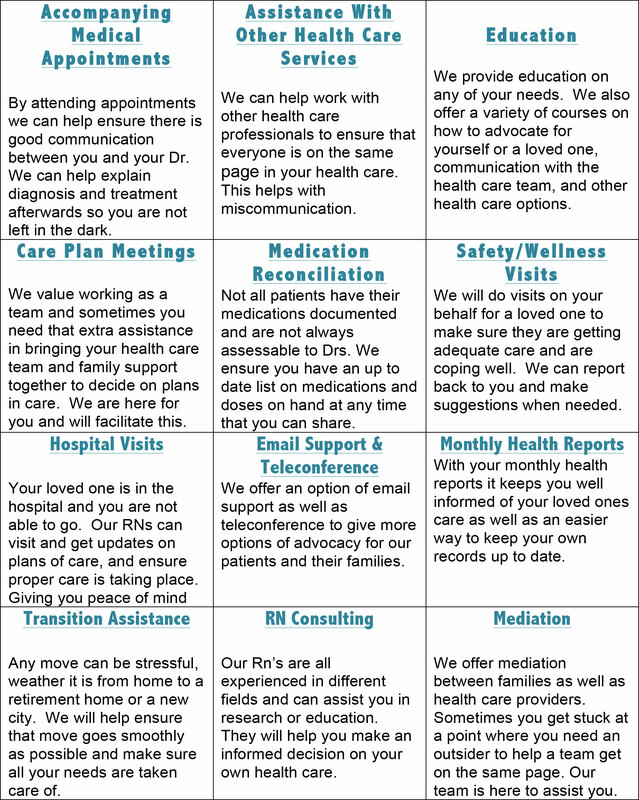 Do you feel as though your doctor isn’t listening to you, or that your medical appointments are rushed? Do you have a clear understanding of your diagnosis and treatment options? We are only a phone call away and can get the answers you need. Registration is simple and quick. Call today for a free consultation, and let us be your advocate.